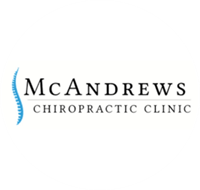 McAndrews Chiropractic Clinic will be having an open house on Saturday, April 27 from 12 pm - 3 pm. Meet the new owner Joshua Lederman, DC. Featuring refreshments and cupcakes courtesy of Pie, Pie My Darling baking company. Visit the clinic website at https://www.mcandrewschiropracticclinic.com for directions and contact information.